Companies are starting to see the light. They are embracing the principles that Apple, Google, and Philips Electronics have been advocating for a long time – differentiate yourself based on the experience you deliver to customers; not on the products you sell. 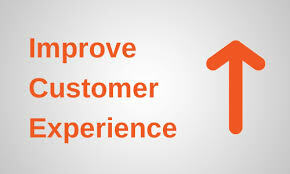 According to a CEI Survey, 86% of buyers will pay more for a better customer experience. But only 1% of customers feel that vendors consistently meet their expectations. These statistics highlight the magnitude of the growth opportunity before us. What if you just increased the percentage of consistently happy customers by 5%? For any company, large or small, that would be a game-changer in terms of revenue and profit. The rise of cloud computing and social media was the tipping point in the relationship between customers and vendors. Empowered with readily available information, rich analysis, and access to peers around the globe, buyers took full control of their purchase processes and vendor relationships. Customers expect vendors to invest financially, intellectually and emotionally in understanding and consistently meeting their evolving expectations. The good news is that B2B vendors are starting to transform their entire organizations – people, process, technology – to align outward to customer experiences.